researchers from the University of Hong Kong determined that, while dyslexia in English-speakers is primarily due to a sound-related processing problem, among Chinese language speakers, it is likely driven by both visual and sound processing disorders. Read the horror story from a dyslectic man who tried to use public transport and got left at the platform. 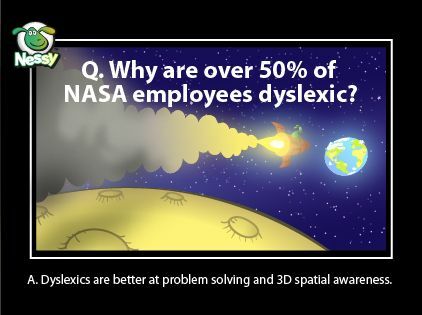 Read in our link for today about how Dyslexia advocates try to make dyslexia support available to all and not only to the people who have sufficient money to pay for private tutors.